A dog that had been living in a local shelter for more than five years found a new home. DICKINSON, TX (KTRK) -- We have a happy update about a dog who had been living in a shelter for more than five years. On December 8, ABC13 told you about Tallulah, a pit bull mix who was rescued after she was allegedly being abused and used for breeding. She was placed in the Forgotten Pet Advocates shelter and had been there for several years. We are excited to report that she has been adopted. 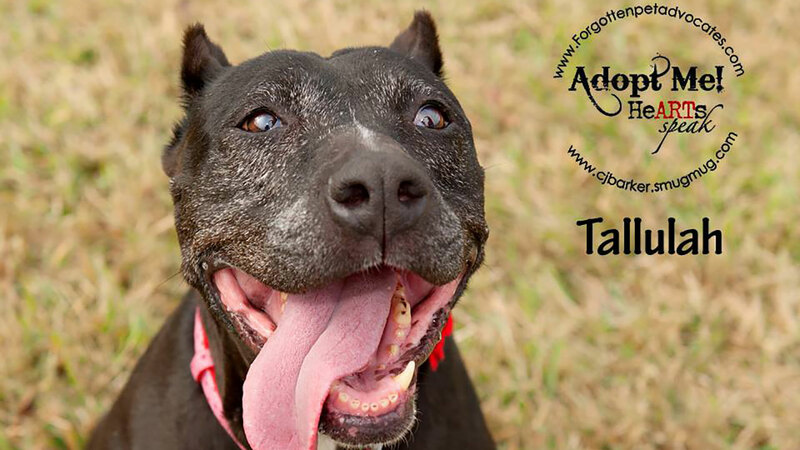 A local dog is in need of a loving home after she has been living in a shelter for five years. The shelter shared the news on its Facebook page with a photo of Tallulah with her new owner. "Her new daddy saw her, and he knew she was the one for him," the post read. "She showed him so much affection. He even go a kiss. She will be his whole world and he is hers." We hope Tallulah has a very Merry Christmas in her new home.